1. Most traditional media outlets have an editorial mission. In the same way, effective content creators within a higher education context also have an editorial mission. This mission outlines the core audience, the type of content that will be delivered and the desired outcome for this audience. 2. 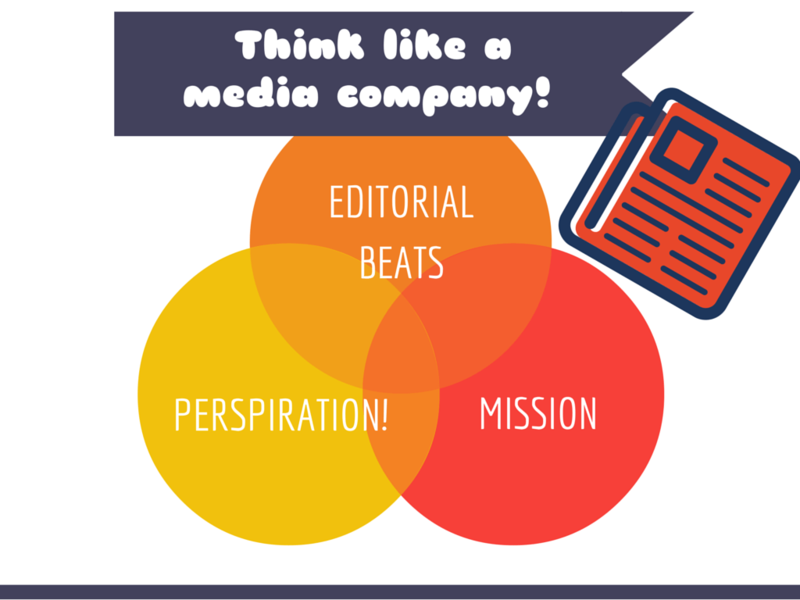 Those that succeed think through their editorial “beats” – the types of topics that will be covered. A newspaper has staff covering the police beat, the education beat and the sports beat, etc. An academics’ beats might consist of thought leadership, classroom perspectives, research and/or resources, among other topics. 3. Inspiration will only get us so far. Successful individual academic content creators deliver because they have an obligation to fulfill a particular goal, not because they feel like it. It’s about perspiration! I expanded on these topics in my latest post for the London School of Economics Impact Blog. I trust that adopting this mindset will help you achieve your content goals.